When your Dad isn't working hard at the nuclear power plant or knocking back donuts, it's good for him to have a hobby. But aside from wacky adventures that tend to occur in 22-minute increments, what is there to do? Well, redditor DrewCIL's Dad found a good use of his time -- building an awesome steam engine smoker that literally has bells and whistles. 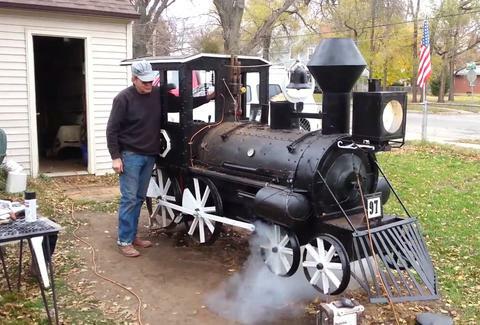 As you can see, this Dad's really made his smoker into a labor of love. And while he's only smoking chicken in it for now, hopefully it'll be all aboard for Briskettown in the near future. Adam Lapetina is a Food/Drink staff writer for Thrillist, and this smoker combines his childhood and adult loves. Read his musings at @adamlapetina.